There are seven different statin drugs available for prescription in the US. Atorvastatin was developed by the pharmaceutical company Pfizer and sold under the name Lipitor. Pfizer owned the patent until expiration in November 2011, at which time other companies were allowed to make and sell generic forms of this medicine. Lipitor is synthetic, unlike some statins which are derived from fungus. Atorvastatin may also be used to reduce triglyceride levels as well as reducing blood pressure and lowering LDL levels. It is taken once per day in a dosage level decided by a doctor. (CAS number is 134523-00-5.) It is estimated that 21% of statin prescriptions in the US are for atorvastatin. More on atorvastatin. Rosuvastatin, which is sold by the pharmaceutical company AstraZeneca under the name of Crestor. It is available in 5, 10, 20 or 40 mg. tablets to be taken once daily. The patent expired in May 2016, and generics should be available sometime in 2016. Attempts by the manufacturer to establish its clear superiority over other statins (which are available as generics) has fallen flat. CAS (Chemical Abstracts Service) abstract number is 287714-41-4. More on rosuvastatin. Pitavastatin, sold under the brand name Livalo, was approved by the FDA in August 2009. It is marketed in the US by Eli Lilly. (CAS number is 147526-32-7.) It has been used in Japan since 2003 and is made by the Japanese company Kowa. The company claims pitavastatin is less liable to interactions with other drugs than competing statins. More on pitavastatin. 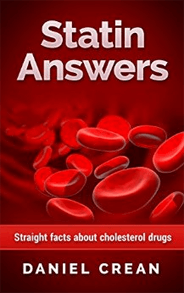 An eighth statin drug, cerivastatin (Baycol), was taken off the market in 2001 by its manufacturer Bayer because of its serious side effects. In order of introduction to the US marketplace: lovastatin, pravastatin, fluvastatin, atorvastatin, simvastatin, rosuvastatin, and pitavastatin. One way to classify statins is by how they are manufactured. Some are derived from micro-organisms through biotechnology. These are called fermentation-derived or Type 1. Others are made through chemical synthesis (no living organisms involved). These are synthetic, or Type 2 statins. It is common for pharmaceuticals to be made through fermentation or through chemical synthesis. Water soluble vs Fat soluble - Statins are soluble in both aqueous environments and oily environments. The solubility levels differ enough that it is possible to classify some as hydrophilic (better solubility in water) or lipophilic (better solubility in fats). Fat soluble (lipophilic) atorvastatin, fluvastatin, lovastatin and simvastatin. Very generally speaking, the hydrophilic statins are excreted from the body largely unmetabolized by the liver. Lipophilic statins are broken down in the liver by the cytochrome P450 (CYP450) system. Hydrophilic statins tend to have fewer interactions with other drugs. There is no "best" statin. Government statitistics show that (in 2012) 42% of statin patients over 40 used simvastatin. About half as many (20.2%) used atorvastatin, although those numbers may have shifted in more recent years following the expiration of the patent for atorvastatin and its availability as a generic. Pravastatin had a share of 11.2%, rosuvastatin of 8.2%, and lovastatin of 7.4%. You might see news stories reporting that one statin is more effective than another. A group of scientists published a criticism of company-sponsored studies. They found that when pharmaceutical companies put up the money to fund the study, the results appear to be unreliable. Some of these studies were too small and were done for marketing purposes. Company-sponsored trials tend to show their own drug coming out on top, which doesn't necessarily mean that the company's drug isn't better than the competition, but you need to look at the sources of these claims. Generic forms of statins are widely prescribed and used partly because of their lower cost. We have another page just on generics.